Gatamaiyo Forest, Kenya, October 2016. Length is about 7 mm. Kenya needs more dipterists. What is a Dipterist? A person who studies the taxonomy and biology of flies. Flies that breed in human filth and transmit diseases are just a small portion of what there is to know. 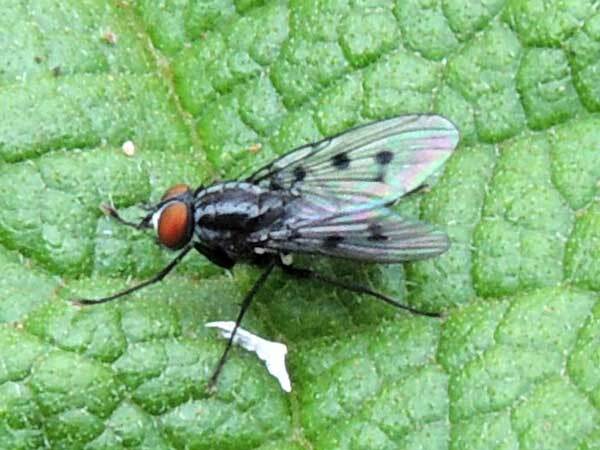 Many flies affect agricultural crops. Thousands of species are involved in every aspect of ecology in every conceivable habitat. Dipterology, as the science is known, requires many years of training, but also promises an engaging biologist huge opportunities for new and exciting discoveries.